as the duo of Laurent Koscielny and Rob Holding held him tightly. Goals from Santi Cazorla, Alexis Sanchez and Mesut Oezil was enough to silence the home crowd in the first half. 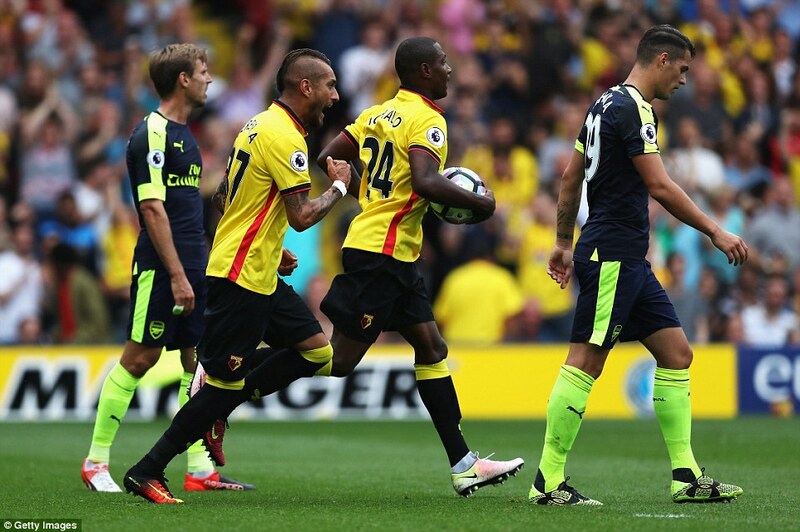 Ighalo’s only chance came in the 65th minute but his header went wide the post. first EPL match this season.